The GOP’s prescription to cure the ills that helped bring on yet another disastrous presidential cycle would revamp its presidential nominating rules in ways to benefit well-funded candidates and hamper insurgents - a move that quickly heated up the already smoldering feud between the Republican establishment and the tea party-inspired base. Tucked in near the end of the 97-page report, formally known as The Growth and Opportunity Project, are less than four pages that amount to a political bombshell: the five-member panel urges halving the number of presidential primary debates in 2016 from 2012, creating a regional primary cluster after the traditional early states and holding primaries rather than caucuses or conventions. The recommendations are also a nod to the party’s donor class. Several donors bluntly told RNC Chair Reince Priebus at meetings right after the election that they wanted Iowa, with its more conservative base, to have less of a role in the process. The report claims that the primary process hurt Mitt Romney, the 2012 Republican presidential nominee. Let’s face it, that had nothing to do with the primary process, it had everything to do with the fact that Romney was an extremely flawed candidate who put together a poorly run campaign. 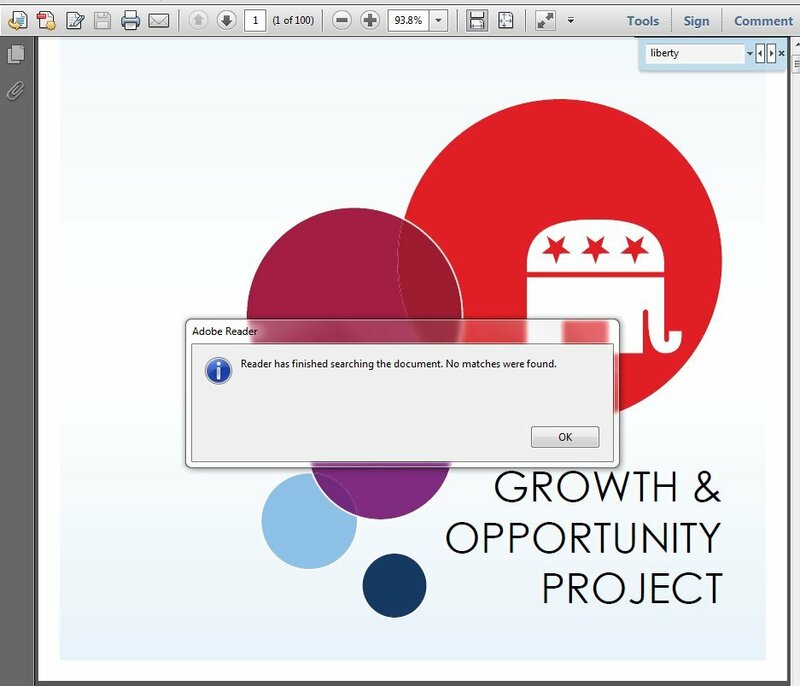 The report is also a nod in some degree to the consultant class, which is part of the Republican Party’s problem. These guys are too interested in expanding their own careers into gigs as lobbyists or becoming pundits on network news stations. There are some positives in the report, such as the need for the Republican Party to improve its voter database and tech operations. That much is true, but the report also slammed the conservative base of the party as “scary” and “out of touch” on certain issues, with immigration reform and the so-called “war on women” being specifically mentioned. While it’s true that those two issues ultimately hurt the Republican Party in the most recent cycle, this language used in the report only furthers the divide between the establishment and activists. Many of the reasonable points made about having a more attractive message will be ignored because of the way it was presented. Sure, the Republican Party needs to become more inclusive, but it doesn’t need to forsake core principles of liberty in doing so. There is a reason that Republican voters have become more fond of Rand Paul than Lindsey Graham or John McCain. Republicans do themselves no favors by not standing on principled messaging, specifically when it comes to economic and civil liberties issues. The liberty movement is popularizing those messages, absent any help from the mainstream politicos that have run the Republican Party into the ground. And while RNC Chairman Reince Priebus gave a nod to the liberty movement this weekend at CPAC, the report doesn’t even mention “liberty” nor does it say anything about making bold policy statements that could help win voters over. That’s not a recipe for winning.